Zebra’s popular, versatile pistol-grip MC9000 Series mobile computer gets a thorough tech update, and it could net the company billions in replacement sales. Zebra Technolies introduced the MC9200 in June, building on the overall design of the MC9000 Series, which Motorola called “the world’s best-selling industrial mobile computer.” According to the company, the line has sold over two million units over the past decade, a very large number for a computing product of this type. This latest model of the MC9000 Series remains completely compatible with all existing peripherals and accessories, allowing for cost-effective upgrades. A smart move, given that many large customers have a significant investment in MC9000 hardware and software. Zebra claims that the MC9200 is industry’s fastest computer in its class, and that’s mostly due to the new processor. The 4430 is part of Texas Instrument’s 4th generation OMAP platform, using dual ARM Cortex-A9 as well as two ARM-M3 cores. The chip also includes a PowerVR SGX540 integrated 3D graphics accelerator that runs at a clock speed of 304 MHz, and a multimedia hardware accelerator with a programmable DSP. Since all MC9000 Series handhelds are designed to be used in harsh and demanding environments, the MC9200 offers IP64 sealing (totally dust-proof, and protected against water spray from all directions) and an impressive 6-foot drop specification. Motorola also states a “tumble spec”: 2,000 3-foot tumbles. An operating temperature range of -4 to 122 degree Fahrenheit allows use in just about any environment. The powerful 15.8 watt-hour battery delivers full-shift operation. 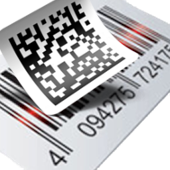 A pistol grip reduces fatigue in extended bar code scanning applications. 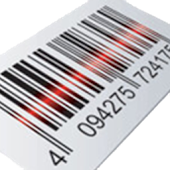 As in prior versions, the MC9200 provides a multitude of keypad and scan engine options, including a long-range imaging option that offers enhanced standard 1D and 2D bar code reading up to 30 feet, as well as image capture capabilities to meet the emerging requirements for 2D bar code reading in retail and warehouse applications. New is the availability of the Motorola SE965 1D scanner that can automatically switch between a scan line and a highly visible aiming dot for enhanced aiming, and also allows for continuous scanning with one trigger pull. As before, the MC9200 offers multiple scanning options. There’s the above-mentioned SE965 1D laser, the long-range SE1524 laser, the standard range SE4500-SR or the long range SE4600 2D imagers, or a couple of specialty imagers (the SE4500-DL for drivers license codes and other ID codes, and the SE4500-HD for special very high density codes). The scanner window is protected via Corning Gorilla Glass. What it all means is that the very large number of Motorola MC9000 Series users now have a viable and largely future-proof upgrade/replacement option that will not forfeit existing investment in accessories and peripherals, and also retains backward compatibility with existing warehouse management systems and telnet apps.